Climate change is the most urgent environmental and human health issue of our time. 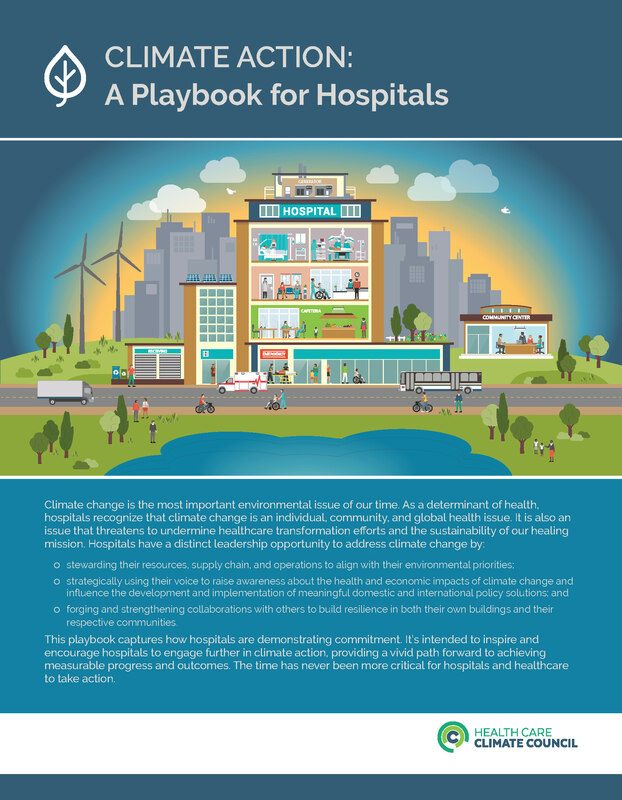 As the frontline stewards of patient and community health, hospitals have a unique opportunity to address climate change. 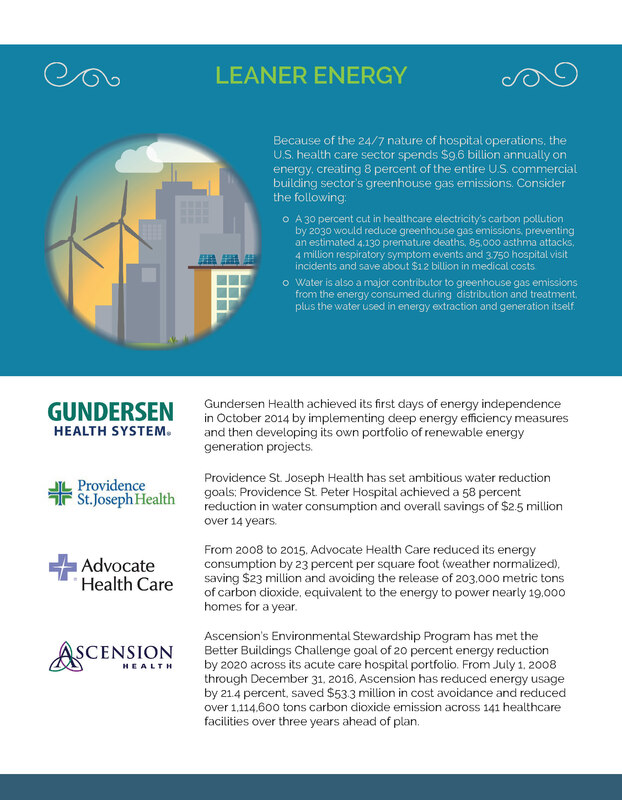 In addition to making impactful and measurable progress in their own operations to address climate change, hospitals must work toward accelerating investment in renewable energy and energy efficiency, scaling the adoption of climate change mitigation and resiliency programs, and advocating for local, state, and national policies that ensure a sustainable and healthy future. 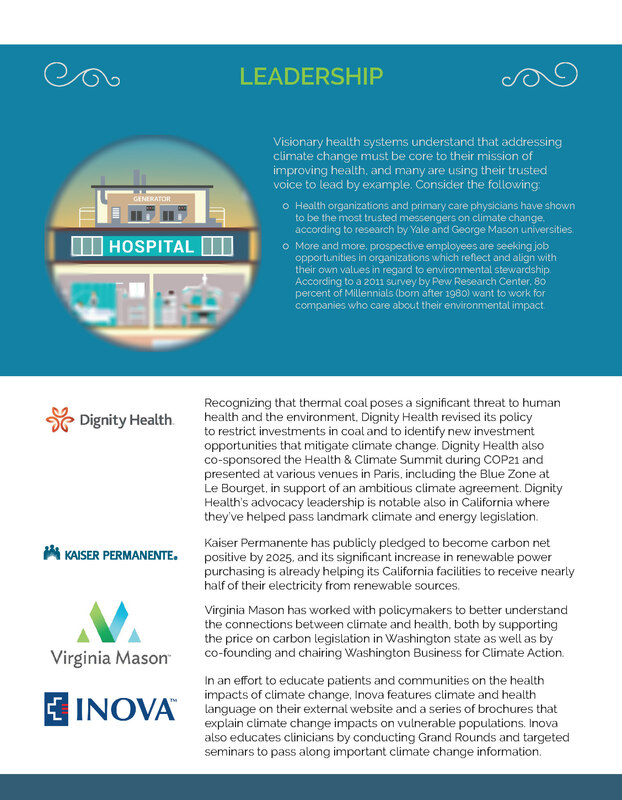 In an effort to build a unified voice among hospitals committed to addressing climate change, Health Care Without Harm established the Health Care Climate Council in 2014. 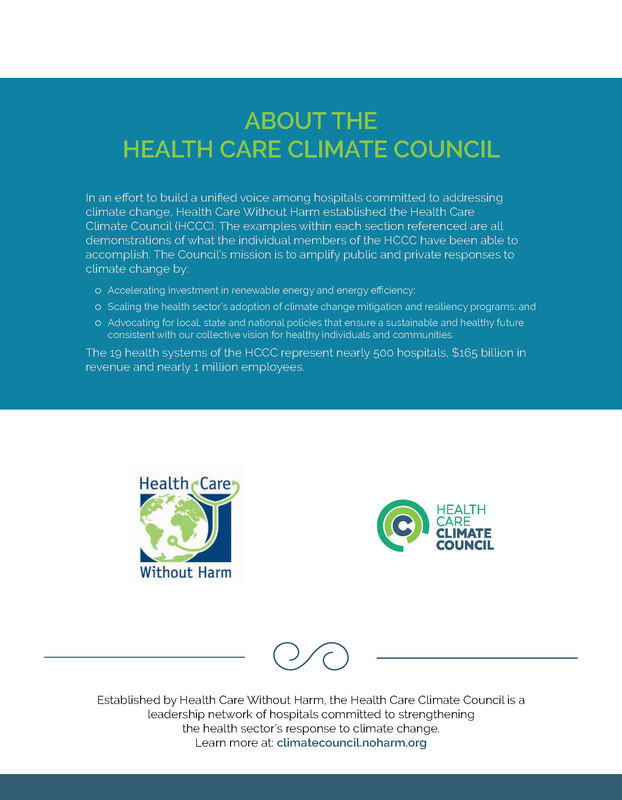 The Health Care Climate Council is a leadership body of health systems committed to protecting their patients and employees from the health impacts of climate change and becoming anchors for resilient communities. 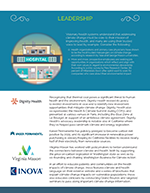 Health Care Climate Council members implement innovative climate solutions, inspire and support others to act, and use their trusted voice and purchasing power to move policy and markets to drive the transformation to climate-smart health care. 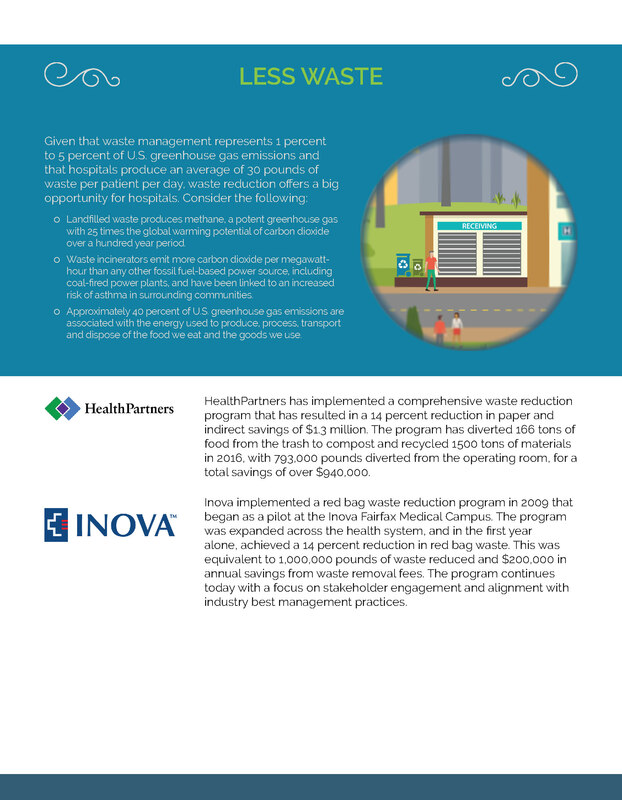 Mitigation: reducing the carbon footprint of health care delivery and using the leverage of supply chains to drive market transformation to a low-carbon economy. 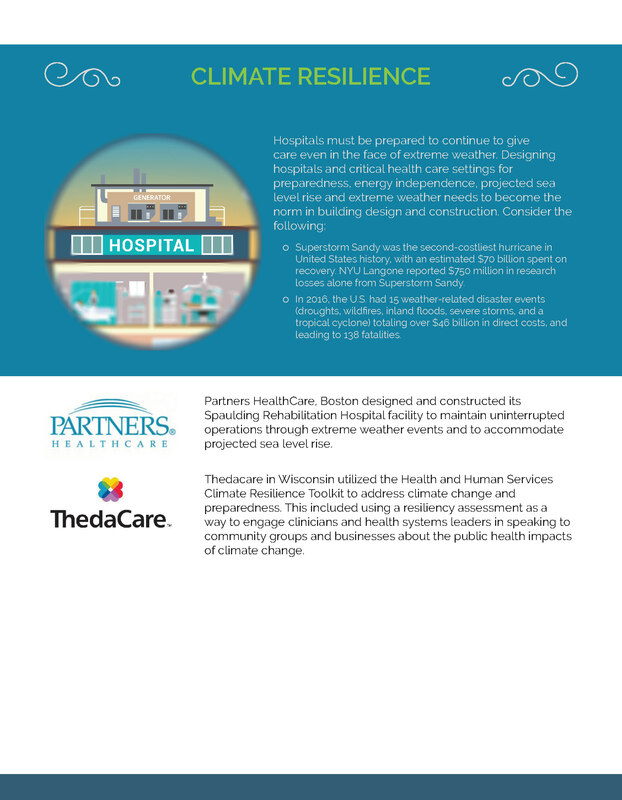 Resilience: preparing for the impacts of climate change by building resilient hospitals that serve as anchors for healthy, sustainable communities. Leadership: acting as critical messengers for communicating the health impacts of climate change and advocating for climate-smart policies at all levels of government. 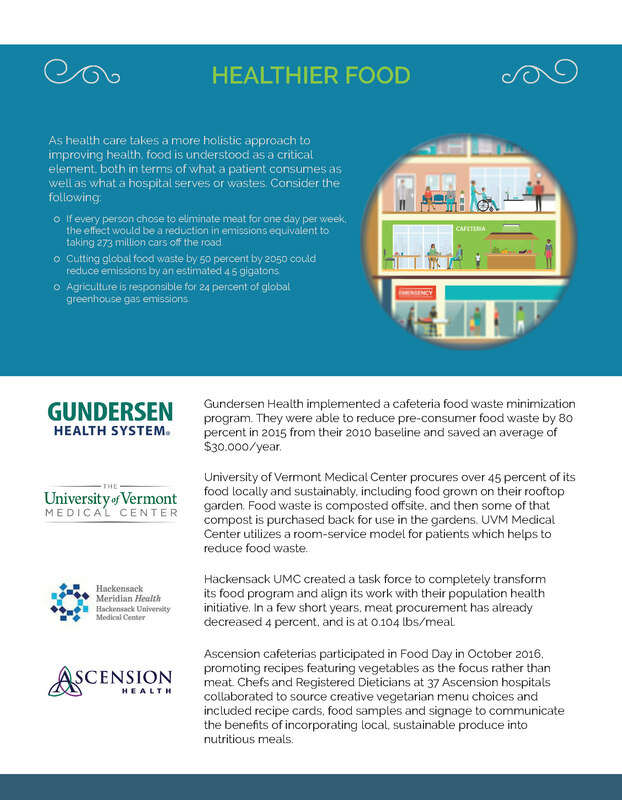 All Health Care Climate Council members are also members of Health Care Without Harm’s membership organization, Practice Greenhealth. 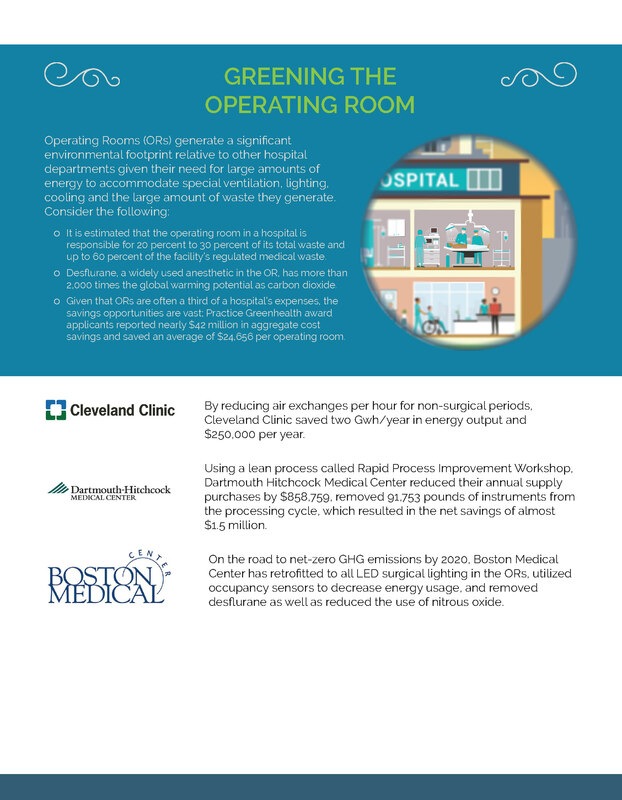 Founded in 2008, Practice Greenhealth is the leading membership and networking organization for sustainable health care, delivering environmental solutions to more than 1,100 U.S. hospitals and health systems. 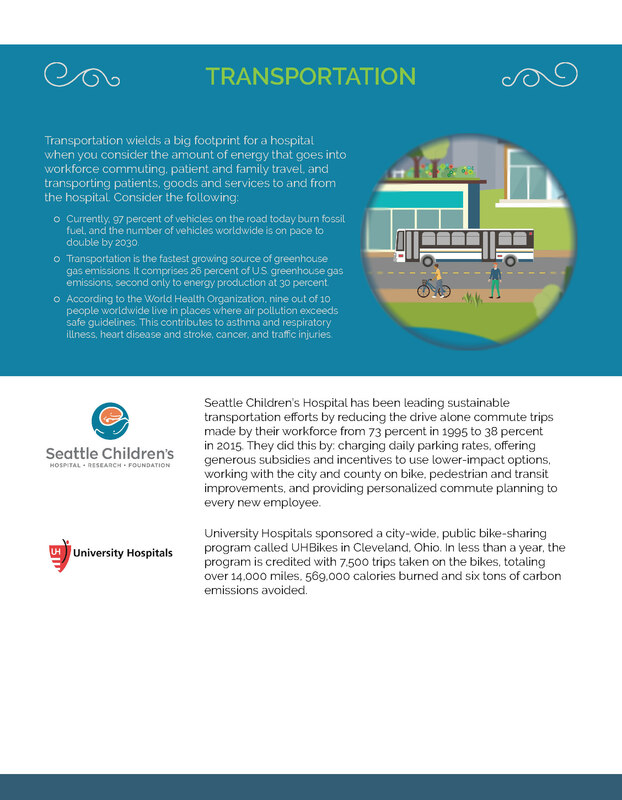 This learning community sets and tracks environmental goals and shares best practices to accelerate the collective progress toward climate-smart health care. 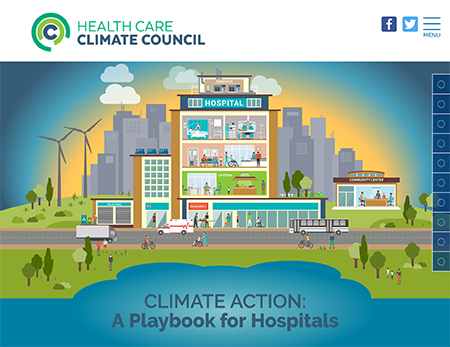 The Climate Action Playbook captures examples of the many ways Health Care Climate Council members are moving toward climate-smart health care. 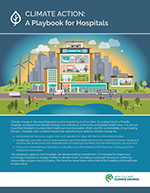 The playbook is intended to inspire hospitals to engage further in climate action, and provide a vivid path forward to achieving measurable progress and outcomes. Download resources related to the playbook. 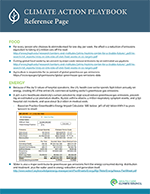 For more information about the Health Care Climate Council, contact Jessica Wolff, U.S. director of Climate and Health for Health Care Without Harm and Practice Greenhealth. The Health Care Climate Council’s founding statement on climate change and health proclaims climate change to be one of the greatest threats to human health today. The declaration affirms the commitment of each member of the council “to reducing global greenhouse gas emissions in order to protect and promote public health,” and calls on hospitals nationwide “to join us in taking significant and measurable actions that the mitigation of climate change demands.” Read the full declaration. 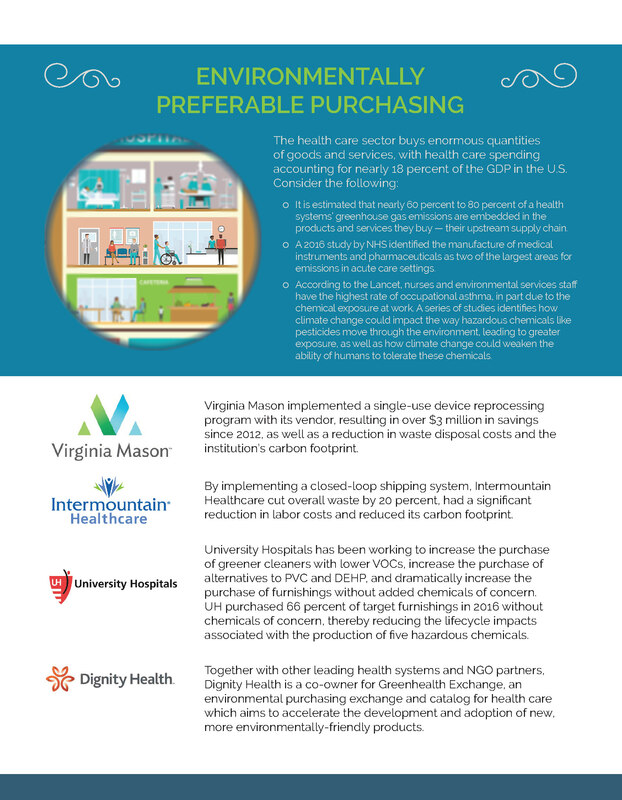 The Health Care Climate Council membership includes: 19 leading health systems representing 500 hospitals in 27 states and 240 Congressional districts with a total annual operating revenue of more than $165 billion and more than 1 million employees.